At Dr. Stawiski’s dermatology offices, we want to provide accurate diagnosis, treatment, and information so our patients get the care level they need. If you are unsure of what skin condition you have, the first step is to schedule an office visit so a proper diagnosis can be made. Sun damaged skin is a common condition these days and Blu-Light is a wonderful treatment in these situations. 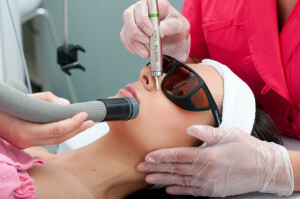 This form of laser treatment is especially good for removing visible vascular issues and pigmented lesions. Professionally applied chemical peels renew your skin’s appearance making it smoother, less wrinkled, and more even in color. This treatment gently exfoliates your skin with natural diamond chips leaving a smoother texture and promoting healthy new skin.